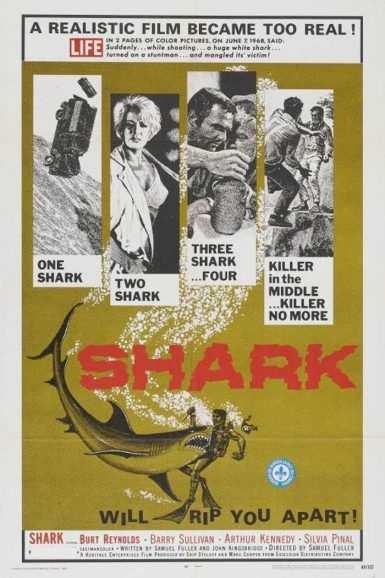 Burt Reynolds stars in one of Sam Fuller’s most independent productions, Shark! a.k.a. Maneater, as a down-on-his-luck gun runner marooned in a Red Sea port city. A beautiful “research assistant” hires him to dive for sunken treasure off the shark-infested coast. The only way out for him is out to sea, and they call it “red” for a reason. Fuller was a filmmaker of unrivaled intensity, and he knew where to place the camera for maximum dramatic effect. The shark attacks are some of the best ever committed to film, and the cast and crew manage to play Mexico as Sudan to surprising success. Come for the swaggering early Burt role, stay for the underwater action cinema. Burt Reynolds is the womanizing, hard-drinking, card-playing, pool-sharking, Private Eye Shamus McCoy – in this Burtsploitation action-mystery-comedy, that punches nuance in the face through a sheet of glass. 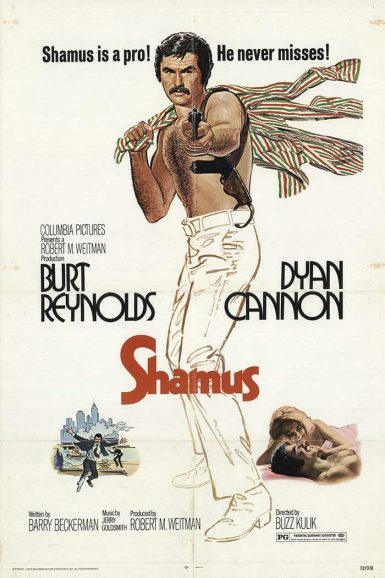 Shot on location in New York, Shamus is hired – “you think you can buy me?” – by a millionaire who’s willing to pay him ten grand to investigate a diamond heist – “you just bought me” and although he gives as good as he gets (Reynolds is all mustache-macho with some bone cracking stunts), he soon realizes he’s in above his $75.00 a day plus expenses paygrade. Two-time Academy Award nominee Dyan Cannon is the Bacall to Reynolds’ Bogart, bringing a playful onscreen chemistry that breaks up the violence that follows Shamus, and Jerry Goldsmith’s underrated score paces the film, with an opening title which is among the decade’s best.